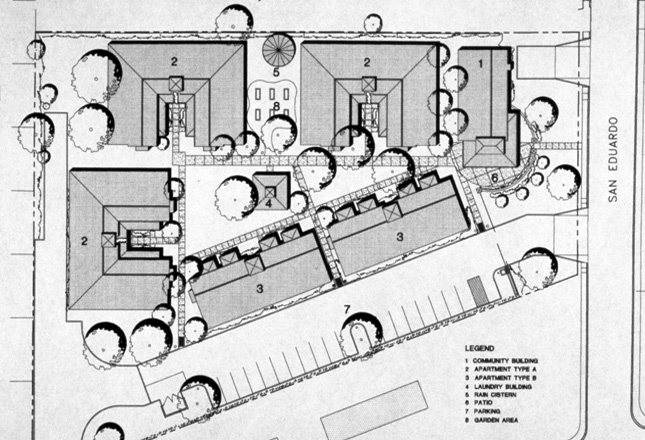 Reymundo Rangel Senior Apartments | Robey Architecture, Inc. 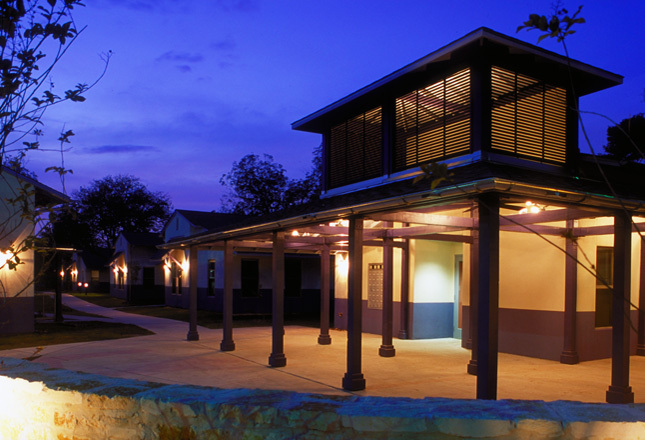 Located in San Antonio’s west side “barrio,” this infill housing project is bound on two sides by a single-family residential neighborhood and a commercial strip center. 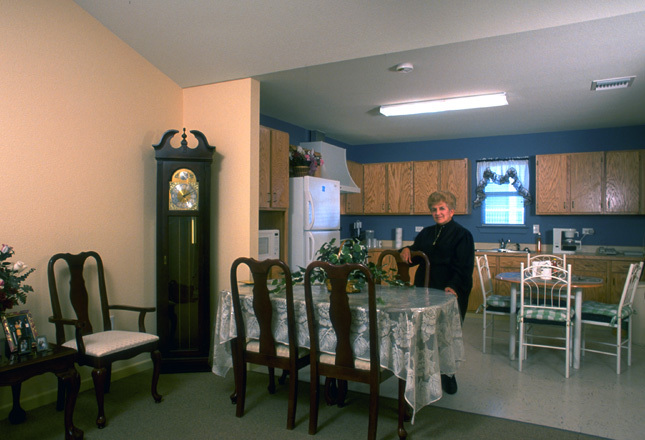 The challenge was to provide the elderly residents, mostly female, with a social space that would not only allow them to engage with street and adjacent neighborhood activities, but would also provide security. The result is five residential buildings, with both common and private porches, that surround a communal garden providing both security and community. 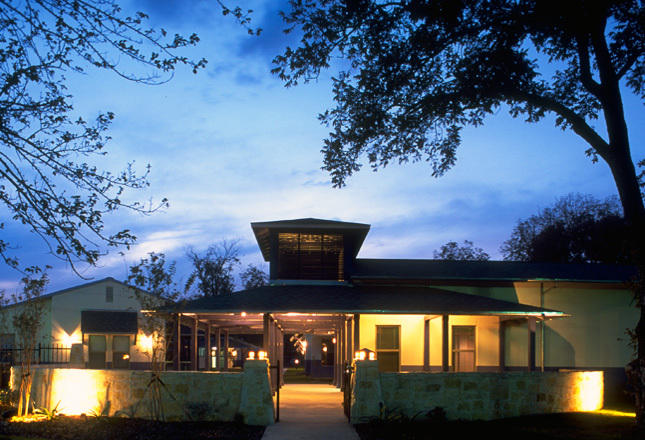 Passive solar elements such as deep overhangs, louvered roof vent cupolas, building orientation, and rain harvesting systems all help to make the complex sustainable. 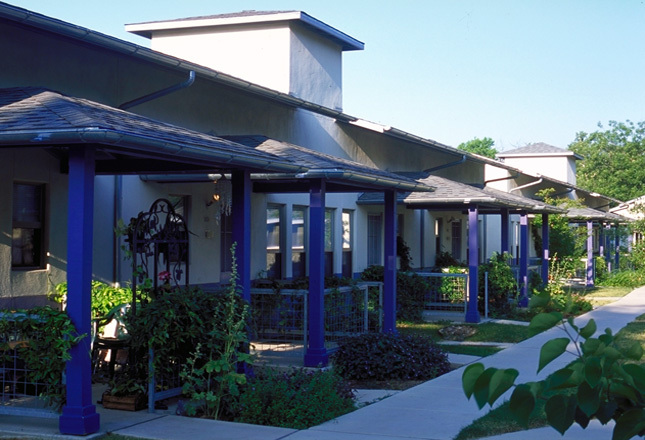 The buildings draw inspiration from the simple vernacular forms in the vicinity: shapes are borrowed from the neighboring bungalows; the low stone wall at the street edge is reminiscent of walls surrounding early Belgian farmhouses nearby; and the colors allude to the strong Hispanic flavor of the neighborhood recalling Mexican haciendas. 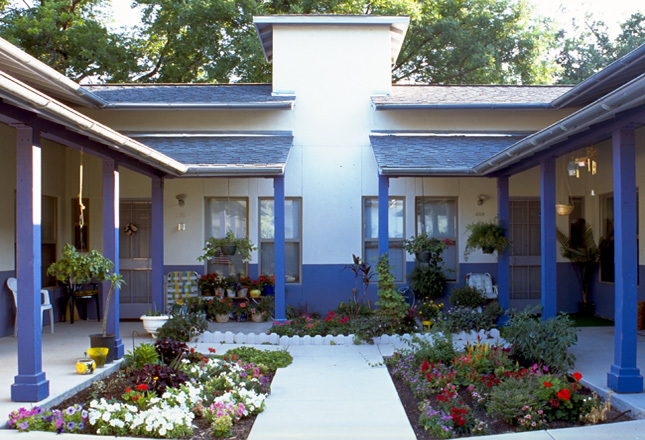 The housing center now accommodates 26 residents, and provides communal support spaces that responds to and revitalize the surrounding context.